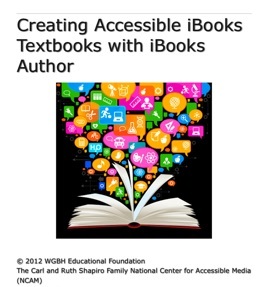 This book will teach you how to use iBooks Author to create an iBooks textbook that is as accessible as possible to readers who are blind, visually impaired, deaf or hard of hearing. 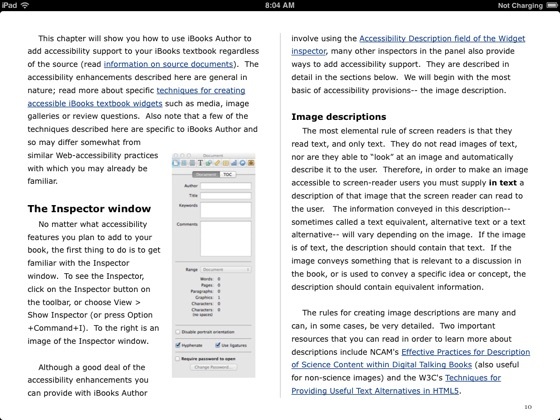 In addition, you will learn how to evaluate your book's accessibility using VoiceOver, the screen reader that comes with the iOS and OS X operating systems. This is a wonderful addition to my iBooks Author library. 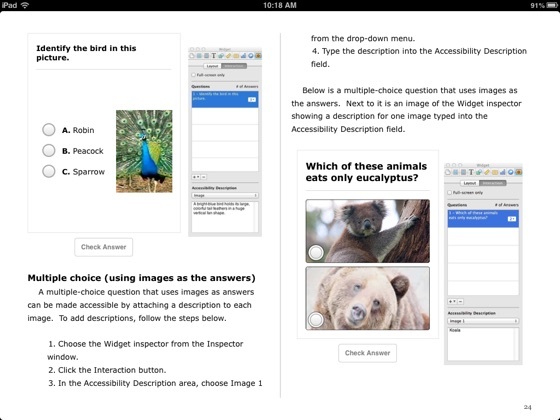 It is exactly the information that I needed to create develop accessible iBooks with Author. Thank You!